Jacquelyn Ryan is a senior at C Leon King High School in Tampa, Florida, and will graduate with a 5.75 grade point average. 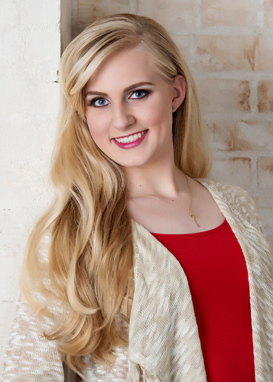 Jacki has challenged herself by taking honors level and advanced placement classes throughout her academic career. She has maintained balance by dedicating her time to participate in activities such as the Tampa Bay Regional Envirothon Competition and the National Honors Society. In addition, Jacki was a devoted member of her local FFA chapter. She participated in competitions with other members, and even went to a state event with her environmental team. She also showed livestock at local shows, including goats, swine, and beef cattle. All of these contests helped spur her passion to become a large-animal veterinarian. Jacki is committed to giving back to those who are in need in her community. She has donated her time to Feeding America, the Hillsborough Pet Resource Center, as well as volunteering to care for rescue horses at a local stable. Jacki has been accepted to the University of Tennessee at Martin where she plans to major in Pre-Veterinary Science. Jacki is the daughter of Deputy Patricia Ryan Parker and Deputy Dennis Parker.